We are delighted to be able to confirm our certification ny Management Standards for the Cyber Essentials Scheme. Click the image to the left to view the 2018 – 2019 certificate. 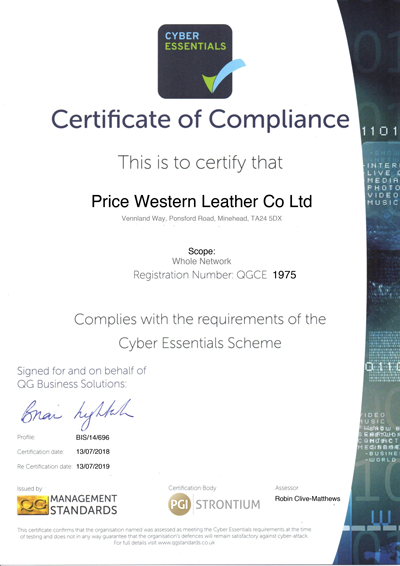 The Certificate certifies that Price Western was assessed as meeting the Cyber Essentials implementation profile [BIS/14/696/1.5] and thus that, at the time of testing, the organisation’s ICT defences were assessed as satisfactory against commodity based cyber-attack.